Want to become a Wyoming police officer? The first step in the hiring process is to pass the WY POST written exam. Preparing for the exam will get you one step closer to becoming an officer. 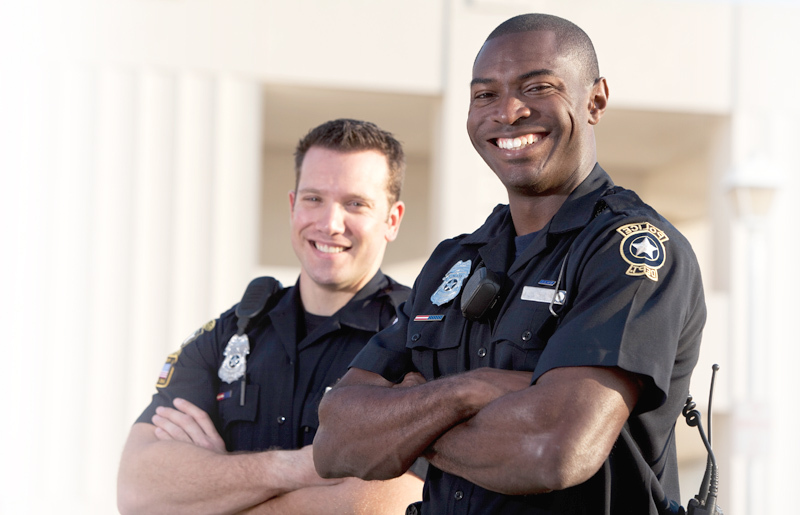 We provide police practice packs for the Wyoming police exam so you can achieve your goal of becoming a police officer. Prepare with JobTestPrep's unparalleled preparation packages today. To become a Wyoming police officer you must take the NPOST by Stanard and Associates, which is required by the Wyoming POST. There are four sections on the exam: Math, Reading Comprehension, Grammar and Incident Report Writing. Each department may have a different passing score. The math section consists of 20 questions on general math and financial math equations, you will need to complete this sections in 20 minutes. The reading comprehension section consists of 25 questions where you will be asked questions based on information given in a short passage. You will have 25 minutes to complete this section. The grammar section consists of 20 questions where you will need to read several sentence and paragraphs, all which contain misspelled words and improper punctuation. You will have 15 minutes to complete this section of the exam. The incident report writing section consists of 10 questions where you will be tested on your ability to write a clear and concise report based on facts that you are given. You grammar and punctuation skills are also tested in this section. You will have 15 minutes to complete this section. The exam is composed of a variety of topics. Some of the most popular topics are the memory, math and vocabulary sections. Becoming familiar with the types of sections and questions found on the exam will help you prepare. Learn more about all the different test sections to further prepare for the exam. We provide test structure and format to prepare you for the exam. Preparing for the exam increase your chances of gaining a higher score on the exam. Our Police Premium Pack which includes over 1,500 questions, answers and explanations along with a personality test will help you prepare for the police hiring process.